The Wellcome Trust Case-Control Consortium (WTCCC) is a group of 50 research groups across the UK which was established in 2005. The WTCCC aims were to exploit progress in understanding of patterns of human genome sequence variation along with advances in high-throughput genotyping technologies, and to explore the utility, design and analyses of genome-wide association (GWA) studies. WTCCC2 will perform genome-wide association studies in 13 disease conditions: Ankylosing spondylitis, Barrett's oesophagus and oesophageal adenocarcinoma, glaucoma, ischaemic stroke, multiple sclerosis, pre-eclampsia, Parkinson's disease, psychosis endophenotypes, psoriasis, schizophrenia, ulcerative colitis and visceral leishmaniasis. WTCCC2 will also investigate the genetics of reading and mathematics abilities in children and the pharmacogenomics of statin response. Over 60,000 samples will be analysed using either the Affymetrix v6.0 chip or the Illumina 660K chip. The WTCCC2 will also genotype 3,000 controls each from the 1958 British Birth cohort and the UK Blood Service control group, and the 6,000 controls will be genotyped on both the Affymetrix v6.0 and Illumina 1.2M chips. the spanish flu cut down young people in their prime. this is called a "cytokine storm" now, when the immune system overreacts and the lungs fill with puss. it seems to affect people with strong immune systems. yes, they said this flu has the danger of being like that one in cytokine response. in fact, that was the major element of the hype intended for the medical community. this is another example of a very poor cover story for the laboratory flu, a failed bioweapon, because they are pushing for CHILDREN to be vaccinated first. children were not the high risk group in 1918. the cover story is so bad you have to think it is intentionally bad, designed to be seen through by the simplest, most indoctrinated and least educated viewer in existence. the mainstream news cover story is clearly a hoax, everyone can see it. 1. psychological warfare technique: present two mutually exclusive but seemingly true actualities to induce confusion, chaos and lethargy in the enemy. 2. the people behind this effort are total failures. their bioweapon fizzled, their follow-up is below par, their next installment will be a dud. 3. the flu dem-panic is designed to draw attention away from something else, and can be turned on and off like a switch at the proper moment. To your three points -- this is the essence of obfuscation and I would suggest that it may be a little of all three -- we cannot drop our guard for a moment -- we need to keep our eye on the news blotter, for anything and everything that could possibly be pushed by during this time. With Congress legalizing FEMA facilities on a national basis, this does not bode well for America, and they are doing it right now. Interesting article from "Suburban Emergency Management Project" SEMP.US ? The Suburban Emergency Management Project (SEMP) originated in 2001 with a grant from the Grace A. Bersted Foundation, which provides assistance to organizations in the suburban counties surrounding Cook County, Illinois. Margaret R. O'Leary, M.D., M.B.A., former chair of the M.B.A. program and the Executive M.B.A. for Physicians and Health Care Executives program at Benedictine University (Lisle, IL), served as principal investigator for the grant. The First 72Hours: A Community Approach to Disaster Preparedness. Well known physician and epidemiologist D.A. Henderson (born 1928) and his associates at the Center for Biosecurity of the University of Pittsburgh Medical Center have recently published â€œPublic health and medical responses to the 1957-58 influenza pandemic,â€� which concludes that the 1957-1958 influenza pandemic was a â€œtransiently disturbing event for the population, albeit stressful for schools and health clinics and disruptive to school football.â€� (1) Furthermore, it shares characteristics in common with the 2009 H1N1 strain influenza pandemic. The influenza A virus causing the 1957-1958 influenza pandemic was an H2N2 strain. Both arose early in the year and spread widely during the spring. Both outbreaks substantially abated over the early summer months in the northern hemisphere and caused major epidemics in the southern hemisphere, which is the traditional seasonal pattern. Both outbreaks to date have similar reported clinical presentations and transmission patterns. Both outbreaks caused hospitalization of patients having underlying medical conditions. The illness was described in one outbreak (Tangipahoa Parish, Louisiana) as â€œsudden in onset and marked by high fever, malaise, headache, generalized myalgia, sore throat, and cough.â€� (3) The outbreaks tended to be over in only about four weeks. In the fall of 1957, I was a freshman at the College of Wooster in Wooster Ohio. For some reason, I took the flu shot for the first time. It may be that I was encouraged to do so by the school doctor. However, I was one of the few who did. Later that fall I was in class and began to have flu-like symptoms that were fairly mild; aches, temperature, and other symptoms. I returned to my dorm room and fell asleep without dinner. I slept until late morning, missing class and breakfast. I still had some mild symptoms, but the aches and elevated temperature were gone. I felt well enough to go to lunch and then on to my afternoon classes. I noticed that the dining room was not as full as usual. Later, in class, I also noticed a lot of students missing. At the time of the pandemic I was in my second year at Juniata. Numerous classmates fell ill with influenza and classes were canceled for a week, but nearly all of the students remained on campus. Our medical care was provided by two nurses who operated a small dispensary on campus with approximately 25 beds. A local family physician visited daily. A number of students were hospitalized overnight for intravenous fluid (IV) therapy and others were kept overnight for temperature control. I was hospitalized overnight and received some IV therapy but then was able to return back to my dormitory. The dining hall remained open and we continued to obtain our meals there, this probably contributed to the high incidence of infection which I believe resulted in a nearly universal student infection rate. None of us had received an influenza vaccine because of lack of availability at that time. Henderson, et al, describe the efforts of organizations, such as the Association of State and Territorial Health Officers, to develop strategies to address the epidemic. â€œAt the time, there was uncertainty as to whether most epidemics would be delayed until the usual influenza season (perhaps December 1957-February 1958) or whether the virus might strike as it did once before (in 1918) in September.â€� (16) The organization urged home care for uncomplicated influenza cases to reduce the hospital burden and recommended limitations on hospital admissions. Closing schools and limiting public gatherings were not recommended as strategies to mitigate the pandemicâ€™s impact, because they do not work. There was no significant impact on the U.S. economy, in spite of 45 million people (around 25% of the population), according to the Communicable Disease Center (now named the Centers for Disease Control and Prevention) becoming infected with H2N2 in October and November 1957. Morbidity and Mortality of the 1957-1958 H2N2 Novel Influenza Pandemic in the U.S. The 1957-1958 H2N2 Influenza A pandemic was a 3-5 day febrile respiratory illness that landed large numbers of patients in clinics, doctorsâ€™ offices, and emergency departments, but relatively few of them were sick enough to require hospitalization. School absenteeism was high, but schools remained open unless the number of students and/or teachers was so low that closure made sense. The U.S. economy was not affected. The only major events that were canceled or postponed were high school and college football games, because of the number of afflicted players. Vaccine did not arrive in time to mitigate the outbreak. Furthermore, it only worked a little more than half the time it was administered. Henderson, who watched the pandemic from very close range, called it â€œa transiently disturbing event for the population, albeit stressful or schools and health clinics and disruptive to school football schedules.â€� He believes that the 2009 novel H1N1 influenza pandemic shares characteristics with the 1957-1958 influenza pandemic. The Henderson article is a tonic for this writer and other people somewhat fatigued by the preparedness behavioral epidemic afflicting the yammering U.S. Department of Health and Human Services and the U.S. Department of Homeland Security bureaucracies about the upcoming fall wave of the novel H1N1 pandemic influenza. Will it, like the 1957-1958 influenza pandemic, be a â€œtransient disturbing event for the population,â€� as Henderson suggests? By December 3,550 people had died from influenza in England and Wales - three times as many flu fatalities as in the corresponding period of 1956. After the vaccine was made available deaths fell but a second wave of the virus in November saw fatalities rise again. One hundred thousand deaths worldwide were attributed to Asian Flu - nearly 70,000 of them in the United States. Now isn't that interesting? and guess which virus he isolated? H1N1 WSN/33 a direct releative to 1918 swine flu. The 1933 virus has significant homology with the 1918 pandemic strain and WSN/33 was actually isolated for the study of neurotropic disease caused by the 1918 pandemic strain. The recall of 1957 H2N2 raises issues related to WSN/33 in Korean swine. Although H1N1 is still circulating in the current trivalent vaccine, WSN/33 was isolated in 1933 and is markedly different than the contemporary H1N1 in circulation. Moreover, it has key mutations that would increase its virulence and broaden its tropism. WSN/33 was isolated from mouse brain in 1940 and is missing a key glycosylation site on NA. This mutation allows the virus to sequester plasminogen, which facilitates HA cleavage and allows the virus to enter a broad range of tissue types. It is also lethal in mice, and contains a mutation in M2 that makes it resistant to antiviral ion channel blockers such as Amantadine and Rimantadine. Sequences from swine on farms in South Korea were deposited at GenBank October 24, 2004 and the WHO has been investigating the sequences for the past six months. They are expected to issue a report announcing the halt of efforts to prove or disprove the existence of the reported viruses with WSN/33 genes in Korean swine. Remarkably, after 6 months there still has not been positive data generated to prove or disprove the existence of the reported virus. If these viruses are in swine in South Korea, they would raise serious public health concerns. How they moved from a lab to Korean farms would also be a major concern, since either an accident or bioterrorism could have significant consequences. WHO's failure to generate positive data to confirm or refute the existence of WSN/33 genes in pigs on farms in Korea is cause for concern. The swine sequences release by GenBank this week would appear to be cause for concern. Six of the isolates were from swine in South Korea and they have both reassorted and recombined genes (between a common Korean avian, H9N2 sequences and genes virtually identical to WSN/33). This is of significant concern because WSN/33 is a neurotropic component of WS/33, the first human influenza virus isolated. WSN/33 was obtained from serial passages of WS/33 in mouse brains in 1940. It is lethal in mice and is H1N1 so it should also readily infect humans. The N in WSN has lost a glycosylation site and binds plasminogen to facilitate HA cleavage. Two of the swine isolates are H1N1 and they have the same alteration which abolishes the glycosylation site. These two isolates, A/swine/Korea/S10/2004 and A/swine/Korea/S109/2004 have 7 WSN/33 genes. Only PB2 is related to Korean H9N2 isolates. 4 other swine isolates are H9N2 and have 3-5 WSN/33 genes. It would seem that swine shedding H1N1 virus from 1933 would pose a serious health threat. Richard Shope was the discoverer of the Orthomyxoviridae family of viruses. He first isolated Influenzavirus A from pigs in 1931. (R. E. Shope, Jr .) as they went virus hunting. For me, it was a grand time of swatting mosquitoes and filling my quota of laughter and wonder, enjoying the company of my actively curious namesakes. I would ride with my grandfather to his laboratory at the Rockefeller Institute in New York City and look out the window at the East River or marvel at his honorary degrees while he fiddled with his centrifuges. College in St. Paul as he checked the results of his viral cultures in Petri dishes and made the rounds to check on the experimental animals. 6. ********* It is interesting to note that the Third Reichâ€™s biological warfare program had the cover name of â€œCancer Research Program.â€� (In RFA#16â€”available from Spitfireâ€”as well as FTR#â€™s 16, 73, we look at the National Cancer Instituteâ€™s Special Viral Cancer Research Program and the evidence suggesting that the project was actually a front for the continuation of biological warfare research. Carroll reports that Yale (Yale Arbovirus Research Unit, or YARU) worked closely with Plum Island on Rift Valley fever virus. Carroll also reports that the future head of YARU (Shope) had worked with Ft. Detrick in its human experimentation program, Operation Whitecoat. Whitecoat experiments included injecting humans with Rift Valley fever virus (the virus is reported to be 30% fatal) to develop and test vaccines against the virus. "Dr. Robert Shope's Yale Arbovirus Research Unit (YARU) across Long Island Sound held twenty-seven different strains of West Nile virus in its New Haven, Connecticut, freezers until 1995, when he moved to the University of Texas and took his strains with him. YARU and Plum often trafficked in viruses, most notably the dangerous Rift Valley fever virus in 1977. Had Dr. Shope shared West Nile virus reference samples with his friend Plum Island director Dr. Roger Breeze--the island laboratory being the only official location where foreign animal germs like West Nile virus are supposed to be studied?" Between 1955 and 1961, she served at the US Army Medical Research Unit in Kuala Lampur, where she worked with the famous entomologist Col. Robert Traub and her first husband, the well-known rickettsiologist, Bennett Elisberg. Pat became interested in the role of viruses in fevers of unknown origin and respiratory tract infections in a laboratory that was at the forefront of studies on tropical disease ecology. Also engaged in the stimulating research environment in Kuala Lampur at the time were the late Robert E. Shope and C. E. Gordon Smith, both of whom would become legendary figures in arbovirus research and tropical medicine. fevers, serving the USPHS in multiple challenging overseas assignments in the tropics. PatriciaWebb will be remembered as an inquisitive, tough and exacting scientist-physician by the many young virologists she inspired to fulfill careers exploring emerging viral diseases. Pat was born in Cambridge, England on April 5, 1925. Her father, Robert A.Webb, M.D. was an American-born and educated (Johns Hopkins) pathologist who became a renowned Professor of Pathology at the University of Oxford, interested in the pathogenic role of bacteria, such as Listeria; he was a close associate of Howard Florey. Patricia, her sister and brother were dispatched to the United States during the Blitz (1940). In 1945, Patricia graduated when only 20 years old from Agnes Scott College in Decatur, Georgia, and went on to medical school at Tulane University, graduating in 1950. After a rotating internship at St. Josephâ€™s Mercy Hospital, Pontiac Michigan, she completed residency training in pediatrics (1951â€“53) at Kern General Hospital, Bakersfield, California. In the summer of 1952, Pat was deeply influenced by the occurrence of one of the largest epidemics of arboviral encephalitis in the history of the United States. Hundreds of children were hospitalized with western equine encephalomyelitis (WEE), the highest attack rate being in infants <1 year of age. One of Patâ€™s first publications described the clinical features of these pediatric WEE cases. This was her initial foray into the field of arbovirology in an ecological setting that would be the focus of attention of arbovirus research for decades to come. Patâ€™s subsequent career was spent in a variety of research positions in US Government laboratories studying viral infections. but their deliberate attempts to establish the isolate and prepare a lyophilized sample that could be sent for international characterization were overshadowed by a creative Singapore virologist who dispatched the virus to England in inoculated eggs kept viable under a brood hen. In 1961, Pat began a long and distinguished career in the USPHS, assigned initially to the Laboratory of Infectious Diseases, National Institutes of Health (NIH). Working with Robert Chanock and Karl Johnson, she explored the role of rhinoviruses in human respiratory diseases. In 1962â€“63 Pat and Karl Johnson (who became Patriciaâ€™s second husband) began a remarkable series of endeavors in tropical virology at the NIHâ€™s Middle America Research Unit (MARU) in Panama. This era of virological exploration began with an outbreak of viral hemorrhagic fever in the remote Beni Department of northeastern Bolivia. Field and laboratory studies of the causative agent of Bolivian hemorrhagic fever, Machupo virus, expanded into a broadly based program aimed at elucidating the natural history, experimental biology, and virion characterization of rodent-borne viruses in the neotropics. creation of a new family of viruses (the Arenaviridae). This finding significantly expanded current scientific thinking about zoonotic viruses. Pat went on to discover and describe a number of other new neotropical arenaviruses. She was particularly interested in the role of rodent hosts in perpetuating arenavirus infections.Wild rodents were brought to the laboratory for detailed studies on pathogenesis (a particularly unusual, risky, and difficult endeavor). The mechanisms underlying chronic infection and excretion of virus, the role of host genetics in controlling infection, and the adverse effects of infection on the host mediated by immune responses and damage to reproductive organs were subjected to intensive scrutiny. Work on Machupo and other arenaviruses was undertaken in the 1960s using primitive but effective means of laboratory biocontainment. However, field work in the affected area of Boliviawas treacherous, and several MARU investigators, including Karl developed Machupo disease. Pat also developed and survived a severe infection with Machupo virus, probably acquired from Karl. In 1969, Karl and Pat jointly were awarded the prestigious Gorgas Medal for their contributions to medical virology in Latin America. When MARU was closed in 1975, Pat and Karl moved to the Centers for Disease Control (CDC) in Atlanta. This move ushered in a new era of research on hemorrhagic fevers, particularly Lassa fever inWest Africa and Ebola virus in Zaire. Pat was the operational force in the Special Pathogens laboratory in Atlanta, supporting field research and epidemiological activities in Africa. The scene surrounding the initial isolation and identification of Ebola virus was described in Richard Prestonâ€™s book, The Hot Zone. Samples from a dying nun with hemorrhagic fever in Yambuku, Zaire arrived at CDC in October 1976. Pat opened the box to find that â€œthe tubes had cracked and broken during shipment . . . the package was sticky with bloodâ€�. With minimum regard for her personal safety, Pat collected barely enough residual material to initiate virus isolation attempts in Vero cells. Within a few days she noted cytopathic effects, and provided Fred Murphy with material for electron micrographic examination.The image shocked them all -a filovirus similar to Marburg.However, Pat showed by immunofluorescence that it was an antigenically distinct new agent. Sierra Leone was the epicenter of Lassa virus activity in West Africa, and CDC established a field station at Kenema in the East of the country to study the epidemiology, diagnosis, transmission and clinical features of the disease. In 1978, Pat succeeded Joe McCormick as director of the Kenema field station. As in Panama and Atlanta, Patâ€™s organizational skills and meticulous approach in the laboratory were critical to success, and she especially enjoyed the application of laboratory methods to field work. With McCormick and Karl Johnson, she carried out clinical studies under extremely difficult circumstances, demonstrating the effectiveness of an antiviral drug (ribavirin) in the treatment of severe Lassa virus infection. Pat spent the last years of her career (1981â€“1988) at CDCâ€™s Division of Vector-Borne Viral Diseases in Fort Collins CO, where she worked closely with the division director, Tom Monath, on arbovirus problems. In 1982, Colorado was struck by a major epizootic of vesicular stomatitis virus (VSV) disease, affecting horses, cattle, pigs and a few humans. The Colorado epizootic led to a series of important papers by Pat and colleagues showing that VSV transmission between domesticated animals occurred principally by the agency of mechanical vectors such as stable flies. About this time, and not long after the unfolding of the HIV epidemic in the US, some members of the scientific community suggested that HIV transmission between humans could also be effected by blood-feeding insects. Pat took charge of an investigation in which mosquitoes and bedbugs were inoculated with or orally fed HIV. She showed experimentally that the risk of biological and mechanical transmission by insects was vanishingly small. The work was particularly dangerous due to the use of fine needles for inoculating insects. In 1988 Pat retired to England and Scotland, living a quiet life with her beloved Labrador retrievers. She retained a keen interest in science and had a huge appetite for books. When Patâ€™s health began to fail, she moved back to the US to be closer to her two sons. Whether the challenge was hemorrhagic fevers or AIDS, Pat approached her work with enthusiasm, imagination, and precision. She was quick to laugh, particularly at herself. She brooked no fools, had an acerbic wit, and her work was characterized by consummate organization and careful documentation. She also cared deeply for people, and took particular interest in those who were less fortunate than her. She had a love and compassion for both animals and people, and after retirement worked tirelessly for conservation groups and Amnesty International. All of us who knew her and worked with her consider ourselves fortunate to have had Pat as a colleague and as a friend. She left an indelible impression on all who knew her. Dr. Webb is survived by her sister, Jill Chance, two sons, Peter and Michael, and two grandchildren Colin and Aaron. Pat became interested in the role of viruses in fevers of unknown origin and respiratory tract infections in a laboratory that was at the forefront of studies on tropical disease ecology. Also engaged in the stimulating research environment in Kuala Lampur at the time were the late Robert E. Shope and C. E. Gordon Smith, both of whom would become legendary figures in arbovirus research and tropical medicine. And lets not forget the Father and Son team of Richard E Shope and Robert Shope discoverer's of swine flu and others. The decade of the 1970s saw changes, in structure and direction, throughout the London School, when C.E. Gordon Smith (1924-1991) began a period of nearly 20 years as its Dean. A former Reader in Virology at the School, he presided as Dean over a programme of major restructuring, both at the beginning of the 1970s, and again towards the end of his tenure in the late 1980s, when the Reid Committee's recommendations were being put into effect under himself and his successor as Dean, from 1989 to 1995, Richard Feachem. The London School of Hygiene & Tropical Medicine (LSHTM or the "London School") is a constituent college of the University of London, specialising in public health and tropical medicine. Founded by Sir Patrick Manson in 1899, London School is a research-led postgraduate centre of excellence in public health, international health and tropical medicine. The Department of Infectious and Tropical Diseases (ITD) was formed in August 1997 and encompasses all of the laboratory-based research in the School as well as that on the clinical and epidemiological aspects of infectious and tropical diseases. It is currently headed by Simon Croft, who is Professor of Parasitology. There is close interaction between scientists in different research teams. The Department has strong overseas links which provide a basis for field studies and international collaborations in developed and developing countries. Funding for research in the Department comes from around 45 funding organizations and agencies. Major funders of research include the Department for International Development, Medical Research Council, Wellcome Trust, BBSRC, GlaxoSmithKline and the Commission of European Communities. The School was founded in 1899 by Sir Patrick Manson as the London School of Tropical Medicine and located at the Albert Dock Seamen's Hospital in the London Docklands. Manson was a physician who worked in the Far East in the 1860s-1880s, where he encountered tropical diseases and was frustrated by his lack of knowledge. On his return to London, among other roles, he was appointed Medical Advisor to the Colonial Office. He believed that doctors should be trained in tropical medicine, to treat the many British citizens who were dying of tropical diseases that could have been treated if colonial doctors knew more about these diseases. The original School was established as part of the Seamen's Hospital Society, it has its origins in the hospital ships which were docked on the Thames at Greenwich. So, we know that the Rockefeller Institute was pretty active in this research, and now we throw a rothschild or two in there, and what we have is a true globalist conspiracy, right? No left-right paradigm games, no b.s.--just psychopathic former nazis who's kids were charged with the globalist ideal to cull the population? They just "happen" to be there all together johnny on the spot, to "Discover" this "New" and "Novel" form of H1N1 which we call H2N2 before the epidemic started. I can't help but believe they released it. Robert had worked at Deitrick (with his dad) and like his dad, was an expert in pig cholera (H1N1) and was also connected to Erich Traub and Plum Island. Richard Shope is also associated with Project Whitecoat testing infectious diseases on servicemen starting in 1954. So Dad sends his son "something" to distribute in far off Malasia that spreads to SE Asia, China. Gordon Smith was basically and American Brit (like Pat Webb) and was of "The London School" and associated with the Wellcome Trust, which just happens to fund the 1958 Birth Cohort (why not 1956 or 57 or 59 or 60?). They were prepared and ready for something big. Also during this time period were the Nuclear above ground tests which forever changed the C14 content in humans. So was this a Global Biological "Warfare" Experiment in 1957? Hey Tahoe, remember when we were talking about the use of detergents to enhance the virulence of biological agents? ...Some time after our meeting, I recalled the strange feeling I had had at the beginning of the interview, when [Stanley] Plotkin had been telling me about his arrival at the Wistar Institute in August 1957. I recalled that Joseph Pagano had also spoken about working on anthrax vaccines in his early days at the Wistar. Further reading demonstrated that during the fifties, anthrax--Like the Venezuelan Equine Ecephalitis Virus Koprowski had stumbled upon in Rio--was one of the major preoccupations of the U.S. Army Chemical Corps because of its potential as a biological warfare agent. I decided to see when Plotkin or Pagano had published anything on the subject. What I found was rather shocking. First I came across an article by Stanley Plotkin and others on an epidemic of inhalation anthrax, that, as the title revealed, was "the first in the twentieth century". Philip Bracyman, the lead author, and Plotkin were listed as being from the Anthrax Investigations Unit, CDC, Wistar Institute, Philadelphia, and the work had been supported by a contract with the U.S. Army Chemical Corps, based at Fort Detrick. The revelation that with Koprowski taking over the directorship of the Wistar, the institute began accepting contracts from the principal biowarfare unit of the U.S. Army was an unexpected discovery. So was the realization that this was perhaps what Plotkin had meant when he spoke about the "opportunity... to do some research while fulfilling a military obligation." But what was really striking was the content of that research. Plotkin's article revealed that on August 27, 1957, a man from a goat har-processing plant at a mill in Manchester, New Hampshire, fell sick with inhalation anthrax. During the next two months, there were eight further cases of anthrax at the mill, four involving inhalation anthrax and four cutaneous anthrax. The latter group survived, but four of the five inhalation cases died. Cutaneous anthrax is a moderately rare and not especially dangerous skin disease affecting those who handle animal hair or its derivatives. During the previous sixteen years, there had been 136 cases of cutaneous anthrax at the mill, which turned goat hair and wool from southern Asia into lining material for suits. Only one case had been fatal. By contrast, there had been no previous cases of inhalation anthrax at the mill--and only 23 isolated cases had been reported in the world medical literature since 1900. ...It is written in typical Plotkin style, and one suspects that he may have been responsible for much of the work.The introduction states that the outbreak "presented an unusual opportunity to study both the epidemiology of this disease, and the effectiveness of an anthrax vaccine that had been given to some of the workers several months before the epidemic." A later article by the same authors reveals that 300 of the manchester mill's 630-odd employees volunteered to be vaccinated with this live anthrax vaccine, although the remainder refused. Beginning in May 1957, approximately half of the 300 were vaccinated with three primary injections at fortnightly intervals, while the other half received 3 injections of a placebo. But what had caused the unprecedented epidemic? The authors concluded that one particular batch of black goat hair from India might have been responsible...Furthermore, the epidemiologists noted that detergents used for scouring the hair had been shown to enhance the virulence of anthrax spores, and that a new detergent had come into use during this period. ...The first inhalation anthrax victim in Manchester fell ill on the same morning that a new detergent replaced the traditional scouring agents of soap and soda ash, but he was working in a different part of the mill from where the new detergent had been introduced. Nonetheless, the authors comment that "an hypothesis which presents itself is that this particular batch [of goat hair] contained an unusual number of highly-virulent anthrax spores to which was added for most of the epidemic a virulence-enhancing substance (the scouring agent)". The only reference to the implications for biowarfare research in these two lengthy reports comes in a single sentence at the conclusion of one of them, which reads: "The potential civil defense problem posed by anthrax aerosols is also emphasized." For some reason, chemtrails don't seem so innocuous when you read that last part. In the 1950s, by whatever vehicle, whether it was inoculation or area spraying, something that was first film documented as being used upon the population of Nanking by the Japanese in the mid-1930s, they did spread the flu. They fostered a flu pandemic that attacked the digestive tract, produced an insanely high fever, and killed a lot of people. They came through again with another, the Hong Kong flu in 1968, which I did not get except for minor symptoms after being inoculated into my active military service in January of that year. Again when the swine flu scare took hold in the early and mid-70s, it was the inoculation that made me ill. Both of these illnesses, came within two weeks of being inoculated... exactly the same as what happened to me in 1957 after the school's shots were given. In the 1980s, the new scare was a virus that suppressed the immune system called AIDS... There eugenic hope was to suppress the mating urge in the baby boom humans. This was foisted on the scene, as were condoms... as a birth control tactic, and worked pretty well... as far as a pandemic goes, AIDS was pretty much a failure... but for its intended purpose, along the use of condoms, and abortion... it succeeded. Whether this scheme will fizzle like AIDS, kill 10s of millions like the Spanish flu, or just forever alter the genetic makeup of the surviving humans... we cannot tell... my suspicion is that it will produce the last scenario to some degree, and will spawn a whole litany of new destructive viruses in the process. I was only 2 in 1957 so I was isolated at home. But I did get those red measles in the early 60s that put me in a 3 day coma, they were all down in my esophagus and my temps reached 104 at one time. The doc told my mom all she could do was keep pouring ice water in me and giving me aspirin. When I came out of it, the doc said I would have the immune system from hell. I have never had a flu shot and the last time I had the flu was that awful Chinese/Hong Kong stuff in 1981. I'm telling everyone I know not to take the shot and to get outside and/or boost their intake of vitamin D.
I got strep throat at aged 16, and had the part-time job from Hell at a local dept. store (It rhymes with "Marget") and I ended up leaving it to get worse, and 2 weeks later, my skin broke out with all these red papules, and my tongue turned red, and my lymph nodes looked like they had just taken on a mind of their own entirely, lol. So I went to the doctor, and he immediately had me isolated and put on IV antibiotics--I had scarlet fever. I think at that point, I was just in so much pain and so tired my mind kind of turned off and I don't remember much. My fever was around 104 at that point. I got better after the antibiotics started working, and the doc said I was lucky I didn't get rheumatic fever or something. "Marget" fired me later for missing work due to the illness. No sh*t.
Tom Slick was the basis for many cartoon and adventure features in the late fifties (Sky King, Clutch Cargo). He searched for Bigfoot and the yeti. Tom Slick (above, after his March 15, 1957, near-death accident in Nepal) was most famous, of course, for his expeditions in search of the Abominable Snowmen, the Yeti of the Himalayan Mountains. In 1957, Tom Slick personally headed his first of many sponsored expeditions to Nepal in search of the Yeti, with Peter Byrne and Sherpa guides along for his deadly serious initial reconnaissance. From noting the timeline for Slickâ€™s trek, remarkably, I discovered that Slick began his actual search in earnest in the Arun Valley on March 17, 1957. Especially interesting to me is a question I have never had fully answered: Was the character in the movie The Abominable Snowman of the Himalayas of the American Yeti hunter and exploiter â€œTom Friendâ€� (shown above next to the filmâ€™s Yeti body) based, in some part, on the real Texan Yeti hunter Tom Slick? What was one of the other missions of Tom Slickâ€™s 1957 expedition? Apparently, it may have been spying on the Chinese in Tibet. Certainly that was what the Russians thought. Two years later, what date would the CIA pick to begin the exit of the Dalai Lama from Tibet? March 17, 1959. Who may have been helping with that trek? Tom Slick and Peter Byrne. Perhaps it was Tom Slick that picked the date, not the CIA? Colonel Fletcher Prouty has written about this secret mission to Tibet. In 1955, Prouty was appointed the first â€œFocal Pointâ€� officer between the CIA and the Air Force for Clandestine Operations per National Security Council Directive 5412. He was Briefing Officer for the Secretary of Defense (1960-1961), and for the Chairman of the Joint Chiefs of Staff. On March 17, 1959, three groups, the Dalai Lama, his immediate family and senior advisors, escaped from Lhasa, Tibet. Who were these individuals? Who helped the Dalai Lamaâ€™s party get out of Tibet? None other than Peter Byrne, Tom Slickâ€™s man in Nepal. He may forget it, but he told me so in 1988, when I was interviewing him about his years of work, overt and covert, with Tom Slick of San Antonio, Texas. I go into further details in my book, Tom Slick: True Life Encounters in Cryptozoology (Fresno: Linden Press, 2002). As we are slowly figuring out, the CDC is not the Center for Disease Control at all, it is in fact the Center for Disease CREATION! This is the tax funded progenitor of purposefully engineered disease and death... I'm so very disgusted that this Nazi-esque quazi government program for population wide experimentation and debilitation has been allow to exist, let alone being tax funded all these decades. Survivors is a British post-apocalyptic fiction drama television series created by Terry Nation and produced by Terence Dudley at the BBC, that broadcast from 1975 to 1977. It concerns the plight of a group of people who have survived an apocalyptic plague pandemic, which was accidentally released by a Chinese scientist and quickly spread across the world via air travel. Referred to as "The Death", the plague kills approximately 4,999 out of every 5,000 human beings on the planet within a matter of weeks of being released. Re: WHO Admits Scientists are Engineering Super H5N1 Bird Flu Virus - Why? 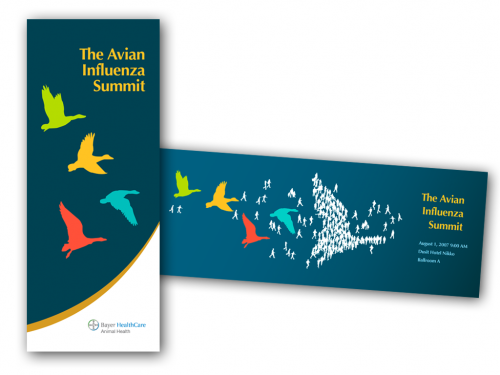 The "North American Plan for Avian & Pandemic Influenza" http://www.spp.gov/pdf/nap_flu07.pdf was finalized at the SPP summit last week in Montebello, Quebec. "unlike previous pandemic influenzas, this will be the first time in the history of humanity that we actually have an opportunity to plan in advance how we would respond to a global pandemic," said Army Lt. Col. (Dr.) Dan Bochicchio, vice chief surgeon of the National Guard Bureau. The "North American Plan for Avian & Pandemic Influenza"
H7N9 is an avian (bird) influenza virus first reported in humans in 2013 in China. Since then, six waves of H7N9 infection have occurred in China, resulting in more than 1,500 cumulative human infections, according to the World Health Organization. No human cases of H7N9 influenza have been detected to date in the United States. Currently, the virus does not spread easily from person to person; rather, people typically become infected through direct exposure to infected poultry or contaminated environments.